I discovered my love for Jazz in the very early 90's, when I used to listen to John Zorn's Naked City and his other complex works. For a lot of people Zorn's music belongs more to Avantgarde music, but this is just a strong branch in this huge tree called Jazz, and like in other musical styles there are a lot of sub-genres to find, but in the end it's all Jazz. This chapter in the Cosmic Lava is my very personal statement and tribute and I don't want to name all the important musicians and Jazz styles and I leave out the history of Jazz from 1970 to the current days. If you're looking for detailed and deeper informations, please surf through the net or visit your local library. The deepest Jazz roots are somewhere to find in the long and old history of Blues. But black minstrel shows, African poly-rhythms, spirituals and ragtime were another important influence. Then there were the 'marching bands' and the funeral bands in New Orleans, who were part of the cells of whom the embryo was growing. Before the outside world noticed this new music it was deepest underground, but with the beginning of the 19th century the Original Dixieland Jazz Band released their first record and the world starts to take notice of this new sound. Other early musicians of this period were Scott Joplin or Jelly Roll Morton. The author F. Scott Fitzgerald called the swinging 20th the Jazz Age. And he was true, because it was the decade were the first big names entered the stage like Louis Armstrong, Sidney Bechet, Duke Ellington or Bessie Smith. 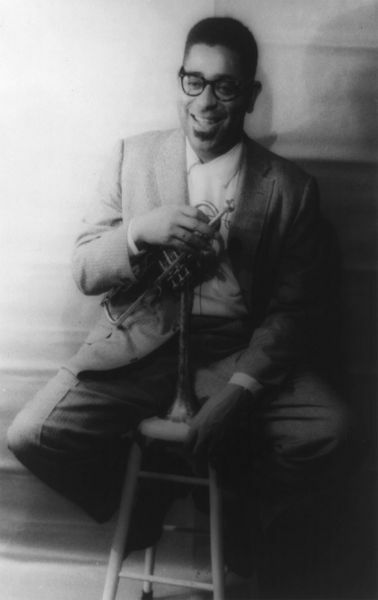 While other bands or musicians were still connected with the ideals of the old New Orleans sound, this men made a step further. Armstrong stepped out of the collective sound of the early ensembles and made Jazz to an art of the solo-performer. Musicians went from Chicago to New York, and although the semi-classic Symphonic Jazz was popular for a while, it was Duke Ellington's Blues-influenced orchestra-sound that showed the way in the future. While in the beginning New Orleans was the main city of the new music, this sound starts to grow in the cold and dirty city of Chicago. But it was only a short period, and America was infected from a cooler and relaxed rhythm than the old-fashioned 'um-pa' of the ragtime. New York was that place for something new with a lot of hot and steamy clubs, record labels and radio stations and 'Tin Pan Alley' became the nick-name for the upcoming music industy around the 32th street near the Broadway. At the beginning of 1930 Jazz was nearly buried by heavy troubles at the stock exchange and the following recession. Not that the audience disappeared, but the record labels nearly broke down, because radio stations were more popular and growing larger. But after all this struggle, better times were coming fast, and the audience who were totally tired of the old-fashioned New Orleans style were hungry for something more powerful and convincing. This was the birth of the Big-Band-Swing. Some of this new hot acts were Benny Goodman, Gene Krupa and Count Basie or the almighty Coleman Hawkins. Another important city was Kansas City, were Swing became popular and around 1938 a young man, by name Charlie Parker who was strongly influenced by Lester Young starts to find his own sound. This sound was the beginning of another great period in Jazz, the Be Bop. Swing was now so popular and seems to be almighty, but a group of young Big-Band musicians were bored and fed up with this kind of repetitive sound. Among this group were the trumpet-player Dizzy Gillespie, saxophonist Charlie Parker and guitarist Charlie Christian who starts with something new and groundbreaking. They disrupted the always same sounding Swing puls, extented the harmonics and created a nervous, fragment and multi-dimensional kind of music. This was a real revolution and the new refreshing kind of Jazz was called the Be Bop. The old generation of musicians like Louis Armstrong didn't like what they hear, and for them it had nothing in common with their definition and interpretation of Jazz. In an interview he said that there was no melody one can remind to and no beat one can dance to. But the new generation of afro-american entertainers won't fulfill the old role cliches anymore and the Big-Bands split-up. In the early years Be Bop was deepest underground, but Charlie Parker was the high-priest and the genius, though other musicians played their important roles, too. Two of this important young men were John Coltrane and Miles Davis, who played together with Parker. But both were searching again for something new. At the end of the 40's Miles Davis had organized a few shows for his ninepiece band, and in 1949 they did their first recordings. In opposite to the sound of Charlie Parker this style was less explosiv and fast. The arrangements were more mellow, relaxed and transparent and the birth of this sound was called the 'Birth of the Cool'. But Davis was one of the few black men who played this style, but mostly Cool Jazz was played by white guys. Another important musician of this sytle was the piano player Lennie Tristano and he was one of the forerunners of the Free Jazz, a movement which became famous one decade later. Other great players were Chet Baker, Dave Brubeck and Gerry Mulligan, who created a light and easy sound who was often connected with the word Cool. But there were Jazz musicians who missed something in the new Cool movement. Rock 'n' Roll was a another growing movement at the early 50's and players who had grown up with Be Bop were searching for the earthy roots of Jazz - gospels, work songs and Blues. Drummer as Art Blakey or saxophon players as Cannonball Adderley , Sonny Rollins or John Coltrane played a rougher and more emotional version of Be Bop. And those players went also back to the deepest roots of afro-american music and were trying to disband conventional musical structures.